For the last few months we have been working very hard behind the scenes on some exciting new developments for AW16/17. 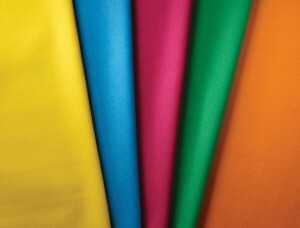 The first is our new range of on trend bright shades which we have added to our Vivid Hues Melton range. Vivid Hues Meltons have an invitingly smooth finish and are perfect for jackets and coats and a whole host of other outerwear garments. The already extensive colour palette is further enhanced by ‘pops’ of cool cyan, vibrant fuschia, fresh grass green, zesty citrus yellow and bright orange neon. You can now order samples of these new shades, and the rest of our apparel range here. As well as our new colours, we have also introduced a brand new quality into our apparel range. Pioneer is inspired by the heavy overcoats favoured by explorers and pioneers on world changing expeditions, and used to keep out the cold and damp. Our version of this tightly milled cloth has a beautiful lustre and drape, perfect for creating classic pieces with sharp lines whilst also providing warmth and versatility. Pioneer is available in a range of classic colours and samples can now be ordered through our swatches page. Also new for the AW16/17 season is our first ever trends shade card. This special card is an edit of our apparel range into our favourite key colour trends of the season for both menswear and women’s wear, showing how versatile our apparel fabrics are and how mixing the collections allow the key trends to come to life. We will be launching our trend card, along with our new ranges, at the Textile Fair in Islington 15th – 16th July, meanwhile you can check out our edit of both men’s and women’s trends here.